Both the swan and pigeon were originally used as decoys but now they make wonderfully unique display pieces. The swan gives off peaceful vibes. 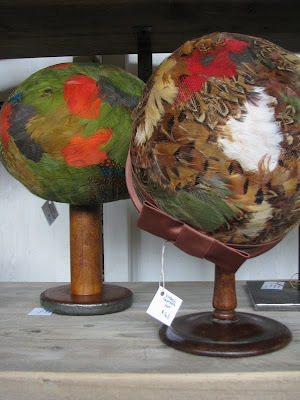 These feather hats date from the mid 19th century. I have put one of them on an old wooden spool, an idea from a customer during the week who bought a spool to do just that. This mannequin is an amazing shape, the waist is so small! The shapes dates it to the Victorian period when corsets were used to create such a small waist. It measures a mere 20 inches! It has been later decorated with decoupage. We actually have two of these chandeliers. The lustres are sharply cut. The Regency gilt convex mirror in the background has also just come into the store. These are very hard to find. I'm with Ria here, WOW!!! I have never seen a decoy swan or pidgeon for that matter. I agree with you the swan looks serene. 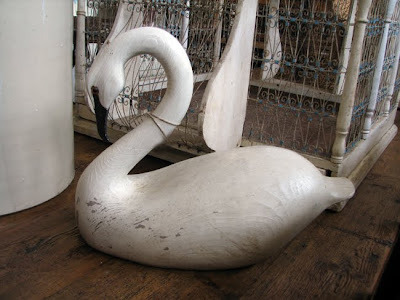 I think the swan is my favourite and looks like a big size...certainly big enough to pack a decor punch!!! 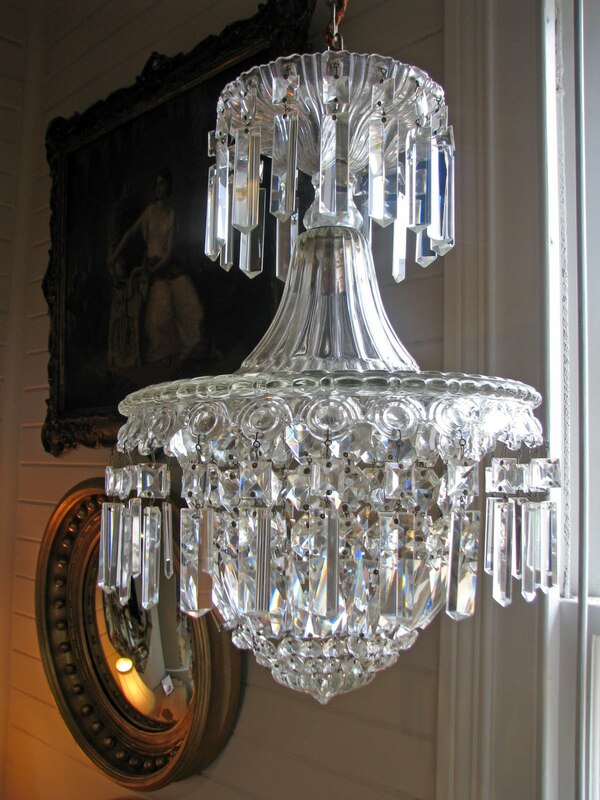 and be a beautiful feature to a room. I am in love with that mannequinn, even though that waist is so tiny, the shape is so feminine and the shape of the stand is really beautiful too...one day I would like to think I could own one of these beautiful mannequinns. Hope your week has been great Tammy, nearly to the end of it already, will call in again soon. 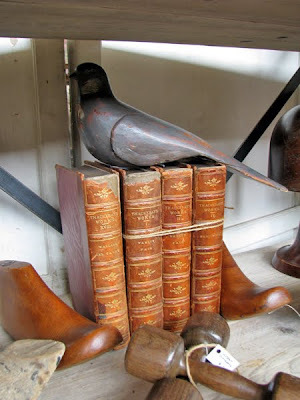 Wow, awsome antiques you have. The images its High Quality, made more interesting. 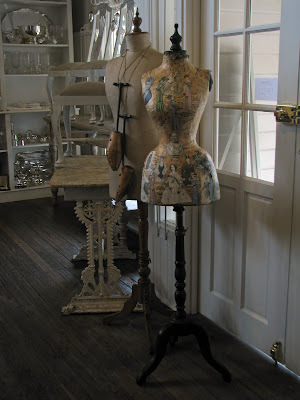 Beautifull antiques and blog. Thanks for responding to my question. I had checked earlier in the day and obviously Donna hadn't put it on then. I have found it on the website and had a good ol' drool. It's stunning!! The shape is just so feminine, I wish I had a waist that small!!! Wishing you a wonderful weekend and hope that the baby shower goes well....I'm sure it will as you seem so organised!! HI Tammy love the swan, and the mannequin! lovely blog!